Bluetooth is going to be the next big thing in mobile, according to the chip making experts over at Qualcomm. No, we haven't commandeered a DeLorean and travelled back to the nineties, you did hear us right – Bluetooth. And it's all down to AllJoyn, Qualcomm's peer-to-peer solution that "enables ad-hoc, proximity based, Peer-to-Peer, bearer agnostic networking between devices and applications" - try saying that three times fast with a mouthful of marshmallows. What it boils down to is the ability for users to connect with each other using local networks to chat, play games and the like. The thing is, Qualcomm says, no one's ever really made the most of Bluetooth and Wi-Fi. 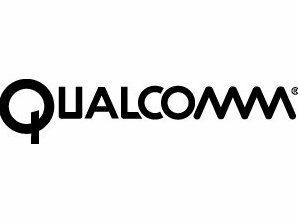 "We've had Bluetooth and Wi-Fi for years," said Rob Chandhok, senior vice President of Software Strategy at Qualcomm. "But apart from vertically-minded companies like Nintendo and Apple, no one really uses them for communicating with devices around you. "We see the need for these devices [phones, tablets et al] to interact with the world around them – what services are near by and what software can we build to use them?" "So we saw an opportunity. We acquired Open Interface four or five years ago, these world class Bluetooth guys, and we said, 'Make Bluetooth friendly to a software guy not a hardware guy'. Because Bluetooth's build on a hardware-centric model – it's got these labour-intensive, archaic pairing rituals and that's why people don't use it. It's why nobody's done anything with it." AllJoyn is an API application so any developer can use it in any application – Qualcomm describes it as "true peer-to-peer" with no need to use the internet at all. "When do I get to the point where I can say 'Siri, turn on the lights in this room' – not now, because it'd have to be an Apple light switch. The Internet of Things can't take off until we have an open protocol." "We can't say anything at present, but you'd be surprised about who's willing to support this open protocol – it's really quite exciting."